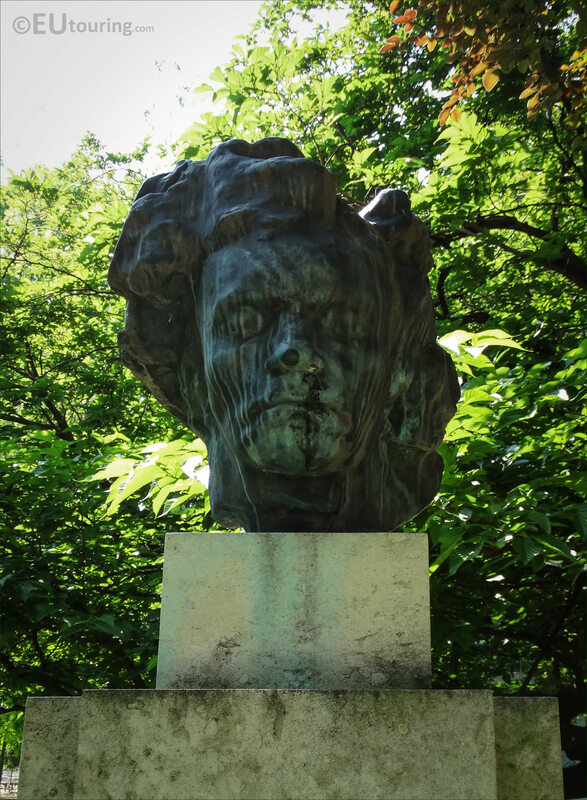 This time while we were within the Jardin du Luxembourg, which is a free public park in the 6th Arrondissement of Paris, we took these high definition photos showing a monument dedicated to Ludvig Van Beethoven, sculpted by Emile Antoine Bourdelle. 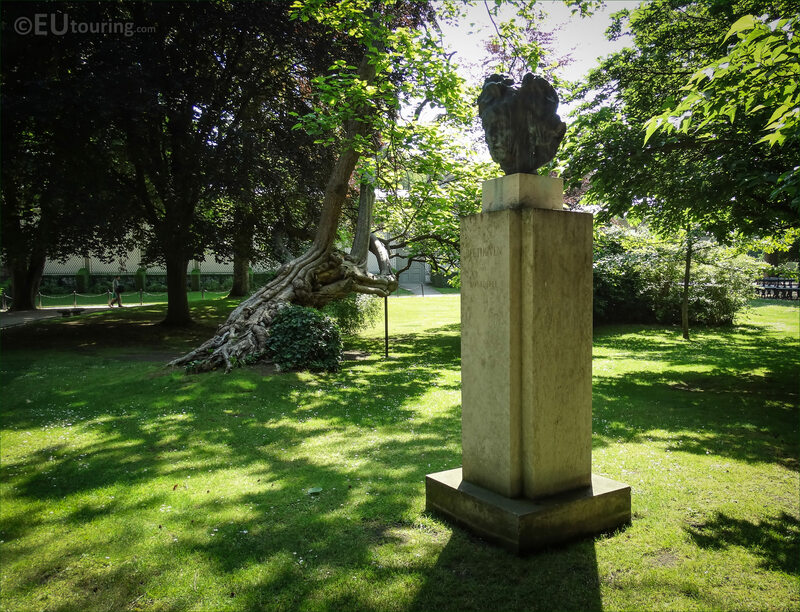 In this first HD photo you can see the beautiful surroundings of this popular tourist attraction where the monument dedicated to Ludvig Van Beethoven sits, and this can be found in the North West corner of the Luxembourg Gardens by the Rue de Vaugrard. And this close up shows the bronze bust, which was one of around 35 different compositions that the artist Emile Antoine Bourdelle produced of the famous musician, which was donated to the French Senate in 1978 by the daughter of the sculptor Rhodia Dufet Bourdelle. The pedestal base you can see here was created by M Dufet, who was the son of the Antoine Bourdelle, and this Beethoven monument in marble and bronze was officially inaugurated within the gardens on 26th October 1978. 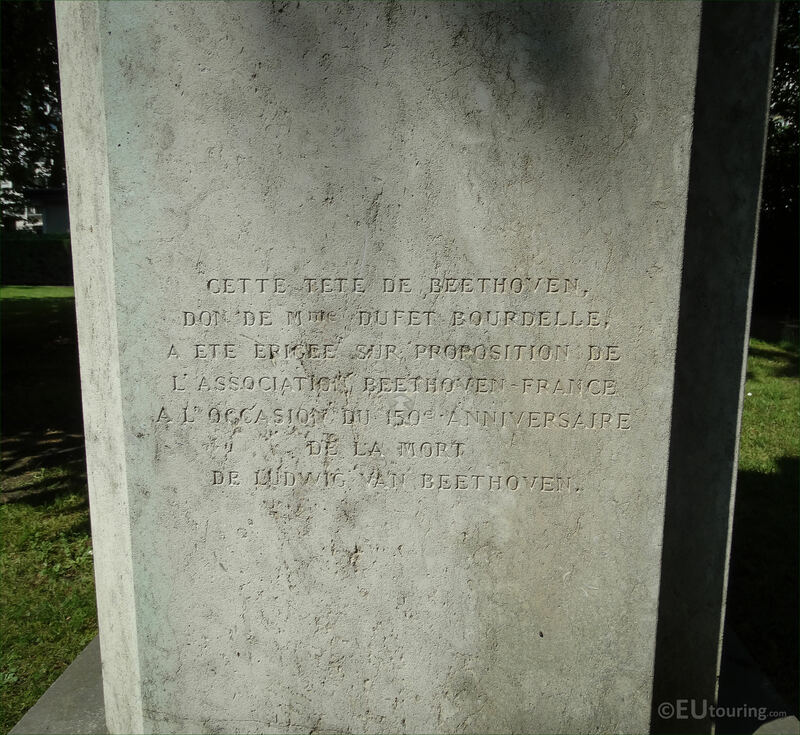 And in this close up photograph you can see an inscription on the pedestal, which states that it was donated on the 150th anniversary of the death of Ludvig Van Beethoven, who was born in Bonn in December 1770 and died in Vienna on 26th March 1827. 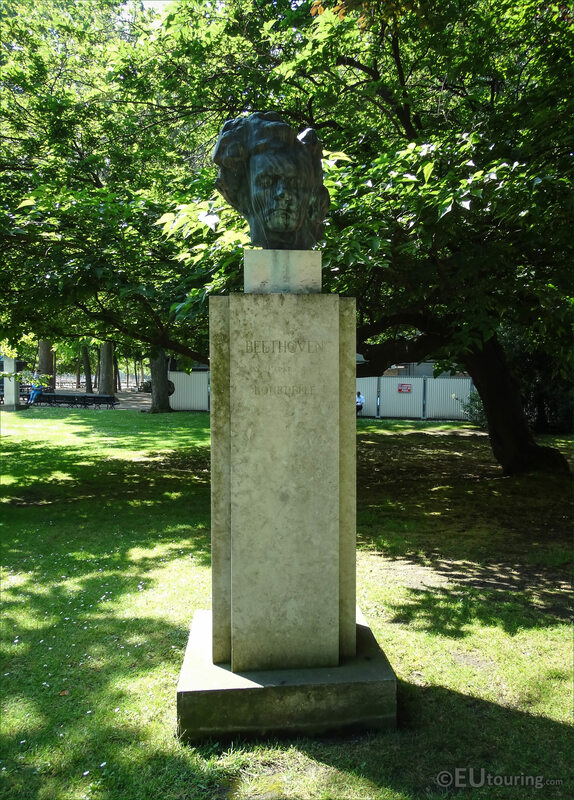 And on the front of the pedestal you can see the inscription Beethoven by Bourdelle, and Ludvig Van Beethoven is a renowned musician and composer of symphonies, chamber music etc, and his works, especially the symphonies and piano sonatas along with his concertos for piano and violin made him one of the most influential people in the history of music. 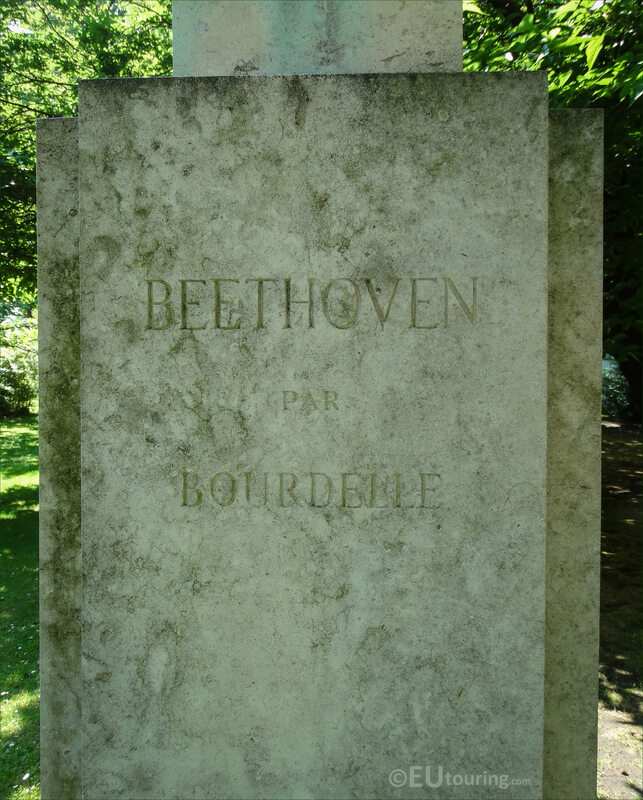 Yet ironically, he suffered from deterioration in his hearing and had to give up conducting and performing in public when his hearing got too bad, but Ludvig Van Beethoven still continued to compose, and many of his most famous works came from this period of his life in Vienna. 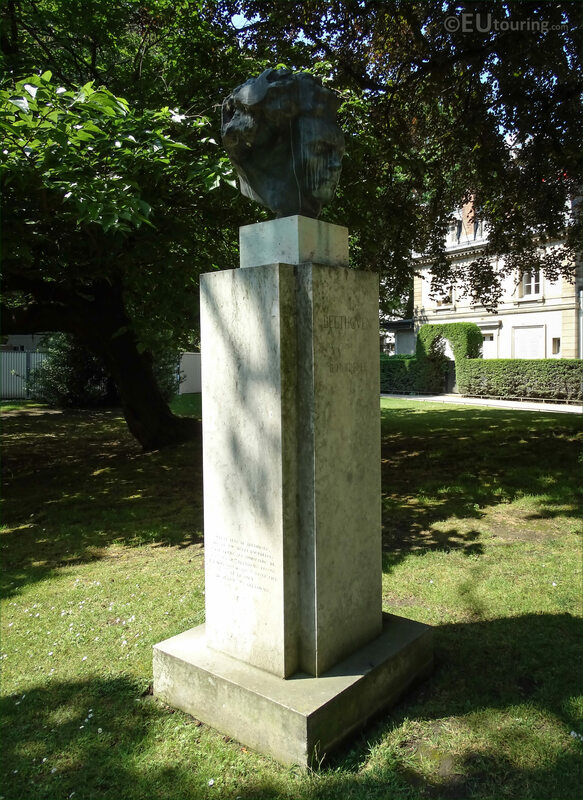 Now this last photo shows the full monument with the bust of Beethoven, which was produced by Antoine Bourdelle, who was born in October 1861 and winning a scholarship to enter the Ecole des Beaux Arts in Paris, he became a French sculptor. And fascinated by Beethoven he started producing different works of him from around 1888, yet becoming such a renowned sculptor, his numerous different works can not only be found at the Musee Bourdelle in Paris at his former home and studio, but in many other countries around the world in different museums and on public display like this one in Luxembourg Gardens.